Daniele Verde’s stunning injury-time equaliser earned Real Valladolid a point against in-form Espanyol at José Zorrilla. The visitors had gone into the break ahead after Borja Iglesias’s powerful strike from distance found the top corner. Valladolid, now under Ronaldo’s ownership, produced a dominant second-half display but couldn’t quite find that finishing touch. That was until substitute Daniele Verde stepped up to send an extraordinary free kick flying past Diego López to haul the hosts level. Both teams’ attempts to strike blows at one another were scuppered by a combination of poor end product or impressive defending. Valladolid’s Leo Suárez was unable to take advantage of a defensive mix-up between two of Espanyol’s López’s, Diego and David, as he skewed his volleyed effort high and wide of a fairly open net. The first punch was landed in some style by Borja Iglesias. His long reach was used with full force as he crashed the ball past Jordi Masip from distance, his rising shot was only stopped by the roof of the net. Iglesias, who’s been nicknamed ‘the panda’ recently, now has four goals in as many games for the Catalan club. The hosts were struggling to stay on their feet and a slip from Masip almost cost them dearly but Hernán Pérez failed to take his chance. Espanyol’s frequent attacks almost produced a second only for Pérez’s close-range header to be superbly tipped over by Masip. The move, including a sumptuous cross from Sergi Darder, was over in an instant but stuck in the memory long after. Las Blanquivioletas staged a surprising spell of pressure after the break and almost found a breakthrough when Nacho got in behind the Espanyol defence. He flashed a ball across goal but there was David López once again to prevent any sort of opportunity. Espanyol, who had looked so strong earlier in the game, were swaying. Óscar Melendo was dispossessed in midfield, allowing Valladolid a clear route to goal but Rubén Alcaraz’s final effort flew high and wide and left Sergio González on his knees in the home dugout. The groans and whistles grew louder around José Zorrilla as the minutes without an equaliser ticked by. Espanyol’s centre back partnership of David López and Mario Hermoso seemed to have steadied a ship that looked like going under earlier in the half. There was plenty of goal-scoring ability in the Valladolid directors’ box as owner Ronaldo looked on in frustration. 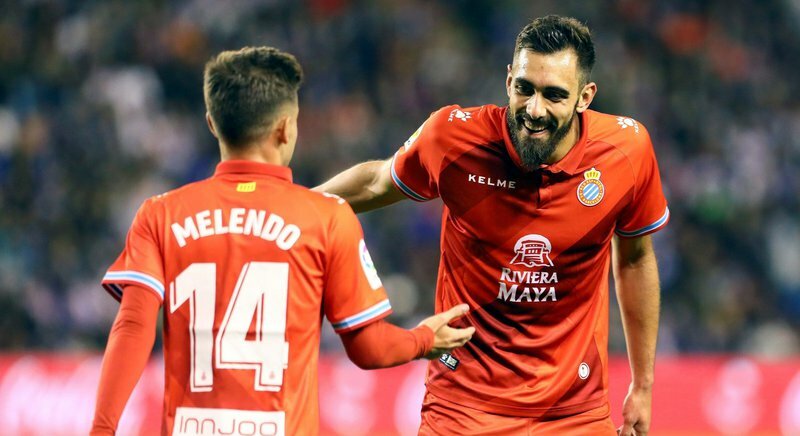 Just as the seconds seemed to be slipping away, Daniele Verde stepped up to sink a stunning, swerving, dipping free kick past Diego López to deny Espanyol a spot at the top of the La Liga table. Valladolid stretched their unbeaten run to six games in the most dramatic way anyone could’ve imagined.